Contact Us to learn more about all the services we provide. Call or make an appointment on to get started. Welcome to Back to Roots Chiropractic & Nutrition! 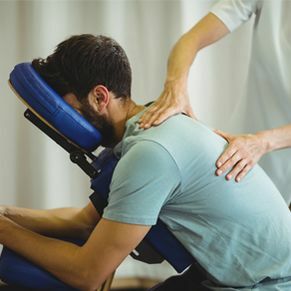 Patients seeking treatment at Back to Roots with Dr. Faria are assured of receiving only the finest quality care through the use of modern chiropractic equipment and technology. Dr. Faria and the staff have a genuine concern for your well-being! If you are new to our website, please feel free to discover and learn about chiropractic wellness. If you are interested in starting your journey towards wellness please subscribe to our award winning newsletter. If you are already a newsletter subscriber, please explore the member wellness section of our website for wellness articles, resources, and health facts---specifically targeted by Dr. Faria to your wellness needs and interests. Dr. Nichia M. Faria is a licensed Chiropractor and a Clinical Nutritionist who is here to serve her hometown of Rochester and the Tri-city area. Dr. Faria uses a 'whole person approach' when taking care of her patients. This approach to wellness means looking for underlying causes of any disturbance or disruption (which may or may not be causing symptoms at the time) and make whatever interventions and lifestyle adjustments that would optimize the conditions for normal function. By combining the very best hands-on-technique, and providing the best natural vitamins and mineral supplements for your specific needs, Dr. Faria is able to help you accelerate and/or maintain your journey to good health. Courtney Duval grew up in Farmington, New Hampshire, graduated from Farmington High School in 2015, then attended Seacoast Career Schools in Sanford, Maine, earning a certificate as a Medical Assistant. Ms. Duval is also a certified phlebotomist. She’s currently training as a Chiropractic Assistant, and hopes eventually to add either Registered Nurse or Paramedic to her growing list of accomplishments. When not at work she enjoys attending country music concerts, shopping, and traveling to Florida, the Bahamas, and especially Disney World. Her favorite season is fall, and while she loves all creatures, her pet dogs, Chloe and Dawson, are her favorite kind of animal. "I have never felt rushed through an appointment, and Dr. Faria has always asked questions and listened fully, offering suggestions, giving needed adjustments, and sending me home w/ stretches and exercises to help me through tough days. She is a very compassionate person and I respect her Chiropractic Skills, along with her nutritional counseling." "My back now has the mobility and flexibility I had at 25." "I cannot say enough great things about Dr. Faria and her knowledge of the body. She listens, she cares and she helps get to the bottom of any problems you may be having. She solved a 12 year health problem I have been having with my diet. I had no idea I had food allergies as there are no food allergies in my family. All because she treats the whole body not just the spine. She not only has me as a patient now she has my children, my husband, and other family members." "(Dr. Faria) has helped me return to good overall health after a couple of injuries. She has also been a big part of identifying areas of concern and recommending preventative tools to prevent future injuries." "I've been a client of Dr. Faria's for several years now and she has helped me so much! I am a Radiologic Technologist at a busy hospital, and I truly believe her chiropractic skills are what "keeps me going." She's helped me with my migraine and tension headaches and my chronic muscular pain. Her knowledge of nutrition is outstanding and the regimen of supplements she has me on, has made me feel much better than I was. Also, my immune system is working well, so that I rarely get sick, even though I work in a hospital."